Lobb Heng is looking to expand its burgeoning logistics business to complement its core activity of commodities trading. LOBB Heng Group was founded in Singapore in 1993 to trade in base metals, and is today one of the leading suppliers of non-ferrous metals for export to China. It also manages warehouses that are ap­proved by the Shanghai Futures Exchange for the delivery of metals. The company buys primarily from suppliers in Europe and South America, and sells to buyers in Asia. In 2005, the company established a logistics and warehousing business to capture the rapid growth of ecommerce in China. It currently occupies around 1 million square feet of warehousing space in free trade zones across the Mainland, including the Shanghai Free Trade Zone and the Qingdao Bonded Zone. “Commodities trading is still our core business, but in recent years our logistics business has been grow­ing because ecommerce is picking up in the region,” said Lobb Heng general manager Guan Zhishan. With the e-commerce boom showing no signs of slowing down, the company is looking to expand this business by building its own warehousing facilities. Today, around half of the world’s parcels are being delivered in China, fuelled by the rapid growth of e-commerce on the Mainland. Some 40 billion parcels were delivered in 2017, up 28 per cent from the year before, according to China’s State Post Bureau. This is an increase of 33 times in the last decade, due to the emergence of e-commerce giants like Alibaba and JD.com. “Logistics is very important to the e-commerce sector, and the Singapore government has been encouraging local companies to expand in the logistics and trading space,” said Mr Guan. The twin engines of Lobb Heng’s business has helped the company to achieve consistent growth over the past 25 years. Its staff strength has also grown to over 50 at its headquarters in Singapore, and a few hundred across its global operations. In September, Lobb Heng will be moving to bigger offices at the Marina Bay Financial Centre to accommodate its expansion. The company also has subsidiaries and branches in Shanghai, Qingdao and Hong Kong. 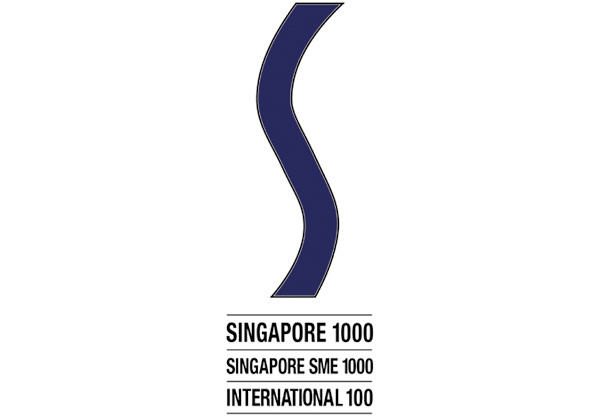 Lobb Heng’s consistent performance has led to it being recognised at the Singapore 1000 Awards for the past few years. The company was also given Global Traders Programme (GTP) status from International Enterprise Singapore (now Enterprise Singapore). The GTP provides support to trading companies with substantial operations in Singapore. Assistance comes in the form of a reduced corporate tax rate of 5 per cent or 10 per cent on qualifying trading income for up to five years. Qualifying trading income includes income from physical trading, brokering of physical trades and derivative trading income. “As a financial and trading centre, Singapore makes sense as a base for companies doing inter­national business. We sit in the middle of Asia and the West. The government has also supported us by providing us with information and connections when we started our logistics business,” said Mr Guan. He believes that one of the company’s key competi­tive advantages is its people. “Our staff’s knowledge about the business is a key advantage. We are not a very big company but we have the expertise of a big company in areas like commodities trading and hedg­ing. At the same time, we can make decisions very quickly in response to the market,” he said. Lobb Heng is also actively engaged in commu­nity and social work here. Deputy Prime Minister Teo Chee Hean recently presented a Certificate of Appreciation to Lobb Heng managing director Han Xiaoli for her contribution to Pasir Ris-Punggol GRC Community Development & Welfare Fund. The fund provides assistance to underprivileged resi­dents. DPM also presented a Thank You Certificate to Mr Guan for being a Leading Philanthropist for the Singapore Children’s Society.